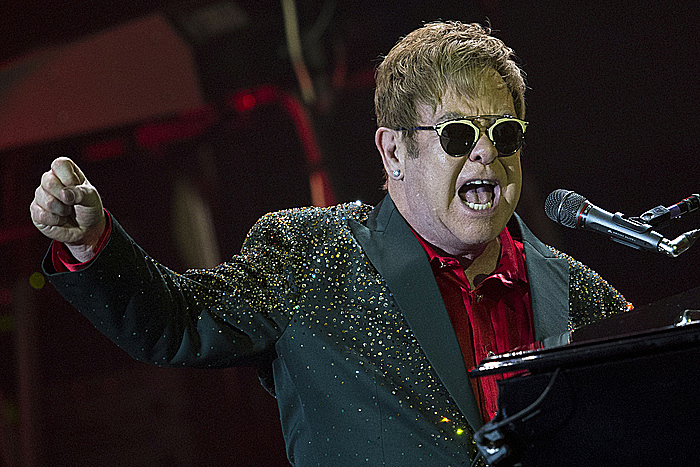 Elton John regrets he didn't get to meet President Vladimir Putin during his current trip to Moscow, but says he's looking forward to meeting the Russian leader in the future to discuss LGBT issues. Performing Monday before an enthusiastic crowd at a Moscow concert hall, the British rock star thanked Putin for inviting him to "discuss some serious issues in Russia, including LGBT and HIV and AIDS," expressing hope they could eventually meet. John has criticized a Russian law against gay "propaganda" and comments by Putin suggesting that gay people prey on children. Putin called John in September to say he'd be willing to meet and talk about any issues that concern the gay rock star. His call came after Russian pranksters posing as Putin fooled John, prompting the musician to post an Instagram message thanking Putin for calling.